HARRISBURG – Gov. Tom Wolf and Agriculture Secretary Russell Redding have commended the U.S. House and Senate for approving the federal Farm Bill, legislation that provides funding and guidelines for farm and food programs in the United States. “The Farm Bill is critical to ensuring that the agriculture industry and all who depend on it have access to the programs, supports and services needed to continue operations,” said Wolf. “Provisions that will protect our workforce, expand our opportunities and preserve our industry are welcomed and appreciated. The legislation contains a number of positive aspects for Pennsylvania agriculture. Two provisions are particularly notable. The first strengthens support for dairy farmers by offering reduced premiums and new coverage levels for milk produced under the new Dairy Risk Management program. The second removes hemp as a schedule 1 drug under federal law, allowing states to create programs for the cultivation of hemp for commercial purposes. “Support for Pennsylvania’s farmers – whether dairy, organic or vegetable – is made readily available in the approved Farm Bill,” said Redding. Redding also praised aspects of the final bill related to the Supplemental Nutrition Assistance Program (SNAP), which maintains current requirements for recipients, and includes language that would provide permanent funding of programs that support farmers markets and organic farmers. He also applauded increases in funding for conservation efforts and workforce and education opportunities and continued support for programs that help rural communities and businesses thrive, including broadband access and local food systems. Additionally, the legislation includes protections for crop insurance, helping farmers purchase policies to protect them from devastating weather conditions. The Farm Bill also includes a significant increase in federal funding for farmland preservation nationwide through the federal Agricultural Conservation Easement Program (ACEP), with Pennsylvania poised to access these funds over the next four years. 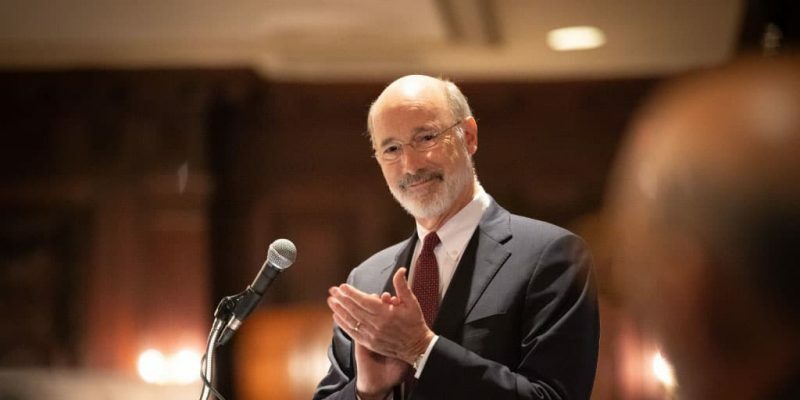 Finally, the bill includes $20 million for a Farm-to-Food Bank program modeled after Pennsylvania’s successful Pennsylvania Agricultural Surplus System (PASS). This program provides an efficient mechanism for the agricultural industry to donate safe, wholesome food products while being reimbursed for the costs involved in harvesting, processing, packaging and transportation. Over the past four years, the Wolf Administration has invested more than $50 million in agriculture-related economic development projects; increased support for workforce development and agricultural education to help prepare students and workers for the thousands of anticipated job openings in the industry over the next decade; and signed historic legislation that has created new markets for farmers and lowered their tax burdens. The administration is working to expand broadband access to hundreds of thousands of Pennsylvanians, creating jobs while improving infrastructure statewide, especially in rural communities.